Came across this dude whilst doing research for Uni (oh and if I haven't mentioned already, I've gone back to Uni. Starting allll over again at Istituto Marangoni London - 3 year BA Fashion Styling degree). 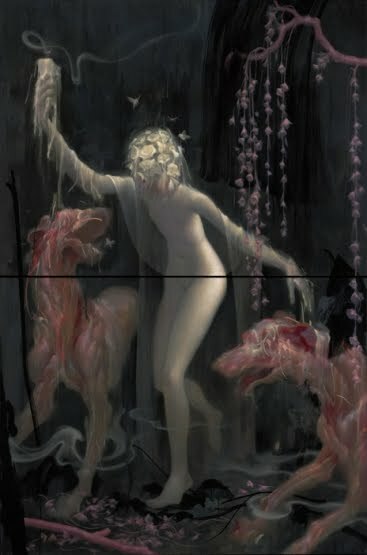 James Jean is a Taiwanese born, LA based artist and illustrator. His works are macabre and surreal yet beautiful at the same time. 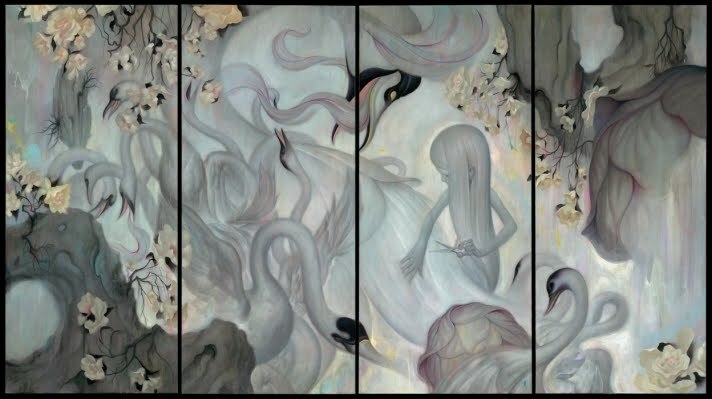 He takes inspiration from Asian art, mythology, and anatomy. 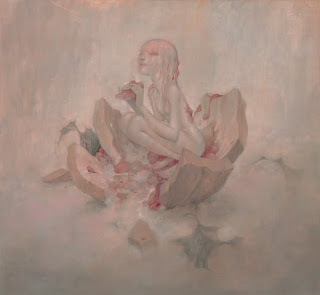 Childhood, sexuality and transformation are common themes in his pieces. His use of soft colours make the depicted grisly scenes somewhat inviting and strangely friendly. Although he's knew to me, his resume is pretty impressive. 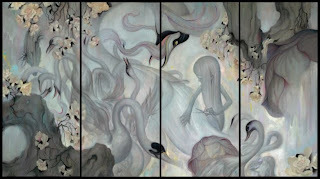 He's been exhibiting his works since 2001 and even worked with Prada on an animated film for the S/S 08 collection.